In a world so frequently centered on monetary gain it seems drug addiction is no different. A study was conducted using pregnant women addicted to cocaine and/or heroine in order to test this theory. of abstinence. Is paying women to stay drug free really a viable option? The two CM programs approached monetary rewards in a slightly different manner. One group of women was given vouchers for $7.50 the first time they passed a urine drug test. Each subsequent negative test resulted in a $1 increase in payment. The second group was given a flat rate of $25 per negative drug test. Both groups were tested three days a week for five weeks. There were 90 women included in the study. Thirty were placed in the control group and the remaining 60 were split between the two CM programs. By the end of the 5th week, an average of eight negative drug tests were recorded each week in both groups, so it doesn’t appear that women prefer increasing rewards to static rewards. 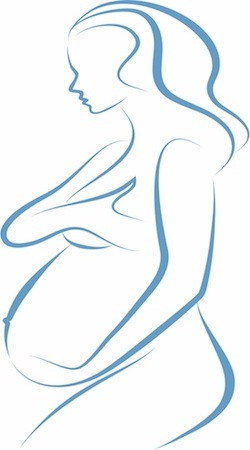 This is not the first study to investigate the positive impact of CM programs on pregnancy. At least one previous study was completed using a population of women smokers during pregnancy. The same general outcome was reported with the two CM groups abstaining from smoking or quitting during the study period as a result of the reward system. Michelle Tuten, the co-author in the study, is not finished researching the impact of CM programs on drug cessation rates. She believes larger studies need to be completed to prove the positive impact CM programs have on pregnancy rates and outcome. The results of the study from Johns Hopkins University are published in the journal Addictive Disorders & Their Treatment. Source: Hendree E. Jones, PhD, Michelle Tuten, et al. Addictive Disorders and Their Treatment. September Edition.